ROSS Management Services has added another multifamily community to its portfolio – The Heritage at Old Town. The 244-unit, mid-rise apartment community offers spacious one and two bedroom units as well as a full amenity package, including a fitness center, dog park and cyber cafe. The Heritage at Old Town is within walking distance to Alexandria’s historical, cultural and entertainment attractions and has excellent access to the region’s employment centers via Washington D.C.’s key arterial highways. The community is also near the King Street Metro stop and is well-served by Alexandria’s DASH bus service. AREA Property Partners acquired The Heritage at Old Town in early September of 2011 and selected ROSS Management Services to manage the community. The transaction represents AREA’s third partnership with the ROSS Companies. AREA and ROSS Development and Investment, an affiliate of the ROSS Companies, successfully completed the recapitalization of Seven Springs Village Apartments in College Park, Maryland. 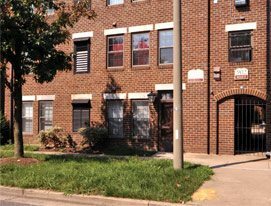 ROSS Management Services also manages another recent AREA acquisition, Fairland Gardens Apartments (since renamed Spring Parc Apartments) in Silver Spring, Maryland. “The ROSS Management Services team is excited to continue our thriving partnership with AREA,” said David Miskovich of ROSS Management Services. ROSS Management Services, an affiliate of ROSS Companies, manages 34 apartment communities in and around the Washington, DC metro area. ROSS Companies, founded in 1983 in Bethesda, MD is a recognized leader in apartment acquisitions and investment, development, property management and renovation. With more than 11,000 apartment homes in its portfolio, the company is one of the most active multifamily real estate firms in the Mid-Atlantic region. ROSS Companies is comprised of three affiliates – ROSS Development & Investment, ROSS Management Services and ROSS Renovation & Construction. For more information about the ROSS Companies and ROSS Management Services, visit TheRossCompanies.com.